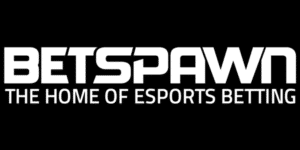 Betspawn is a new-comer who’s ready to take the esports betting industry by storm. This bookmaker is fully committed to offering a wide selection of esports; CSGO, League of Legends, Dota 2, Call of Duty, SMITE and more. Betspawn is licensed in Malta and operates under their gambling laws. Practically, this means that if you’re a resident in Europe, your winnings are tax-free. To celebrate your arrival at Betspawn, they offer you bonuses on your three first deposits up to €133.7. Despite being one of the newer sportsbooks, they have one of the largest esports selection on the market. Betspawn also provides their customers with a 100% welcome bonus up to €133.7. The gaming betting industry will most likely grow in the coming years. And we’re hoping that Betspawn will be one of the top dogs. They’re already a great choice for some csgo betting fun. 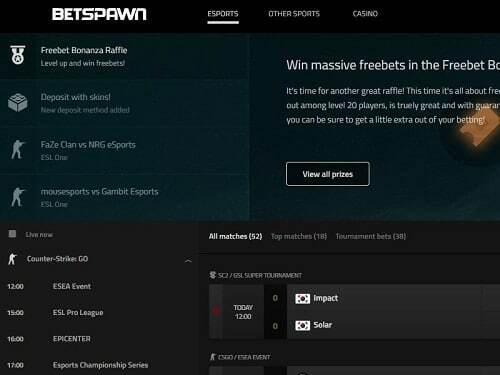 Betspawn’s niche is esports, so that’s what you get, a ton of esports odds. This company’s strength is the variety of esports selection, bet on; CSGO, Call of Duty, League of Legends, Dota 2, Smite, Overwatch and Starcraft II. Basically, every game on the market, which leaves you with plenty of betting options. CSGO seem to be their biggest esport title with a large number of odds available on a daily basis. And not only the standard Match Winner odds, but you’ll also get to place bets on special odds such as Map 1 Rounds Even Or Odd, Map 1 Round 1 Winner, Map 1 Winner, Map 3 Round 16 Winner etc. CSGO is one of the biggest esports titles today, having more viewers than for example Dota 2, despite having smaller tournaments with smaller prize pools. So, it’s pretty logical that Betspawn would offer more odds on CSGO compared to any other esport. Also, CSGO has more leagues and tournaments being played every year. Right now, when writing this review, Betspawn has a total of 118 odds available for CSGO. That’s a hefty number of bets to place. Everything from smaller csgo leagues to huge tournaments is at hand on Betspawn. And not only can you bet on Match Winner, but you’ll also get the chance to place special bets on Map 1 Round 1 Winner, Map 3 Round 16 Winner and lots more. Betspawn is one of few eSports betting sites that actually offer live betting on CSGO and other esports. A longed-for function, to say the least. Live betting is one of the most appreciated forms of betting when it comes to traditional sports, so why shouldn’t it be applied to esports as well? Betspawn really stands out thanks to their function to bet live on esports. Placing bets live on titles like CSGO can add so much excitement, and hopefully some extra bucks in your pockets. CSGO, League of Legends, Dota 2 and Overwatch are all available for live betting at Betspawn. Some of the most generous csgo bonuses on the market can be found at Betspawn. As a new member, you’ll get three deposit bonuses. First off, they offer you a 100% deposit bonus up to €133.7. 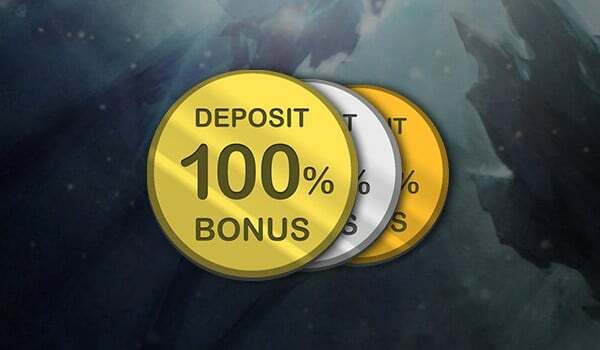 On your second deposit, you get a 50% bonus up to €133.7. Your third deposit gives you a 25% bonus up to €133.7. Remember, the triple bonus offer is only eligible for customers from Sweden, Finland and Brazil. If a player cancels his/her bonus, he/she will forfeit the bonus and any winnings generated from it. Betspawn reserves the right to close any player account and confiscate any existing funds if evidence of bonus manipulation, abuse and/or fraud is found. Betspawn offers a range of different payment & withdrawal methods. And, of course, every single option is completely safe. Deposit and withdraw with Visa, Mastercard, SkinPay, Yandex Money. Or, if you prefer e-wallets; Skrill, QIWI, NETELLER, WebMoney, Zimpler, dotpay, otopay and ecoPayz. Every mentioned method will get you ready to bet on CSGO in no time. The process of cashing out is quick and easy; you’ll have your winnings in 1-2 business days. Everyone seems to be staring down their mobile screens nowadays. So why not enjoy some csgo betting while being on the run? You’re no longer limited to a desktop, Betspawn’s website is 100% mobile optimized. Forget about the slow process of downloading an app; it’s as easy as just browsing your way to their website. Register in two steps, make a deposit, and claim the 100% welcome bonus and start betting. If you wish to get in contact with Betspawn, you can do it by sending an email to support@betspawn.com. Or you could head over to their Facebook page and pop them a message. Betspawn’s support team is always there to help you with any issue you might face.